This is it! That perfect blend of history, charm, and location with modern conveniences and amenities. Mesa's very own West 2nd Street Historic District is THE most highly sought after district of all 7 historic districts in the Downtown Mesa area. This district is well known for its age, it's the oldest historic district in Mesa, its diverse architectural styles, and its history. West 2nd Street district was home to the most prominent middle to upper class families in the early 1900's and, because of that, 2nd Street itself was often called, ''Millionaire Row''. On a street with tree lined medians (one of the very few tree lined medians in Mesa), 100 year old trees, and neighbors that have passed their homes from generation to generation lies this 1930's Period Revival/Bungalow. 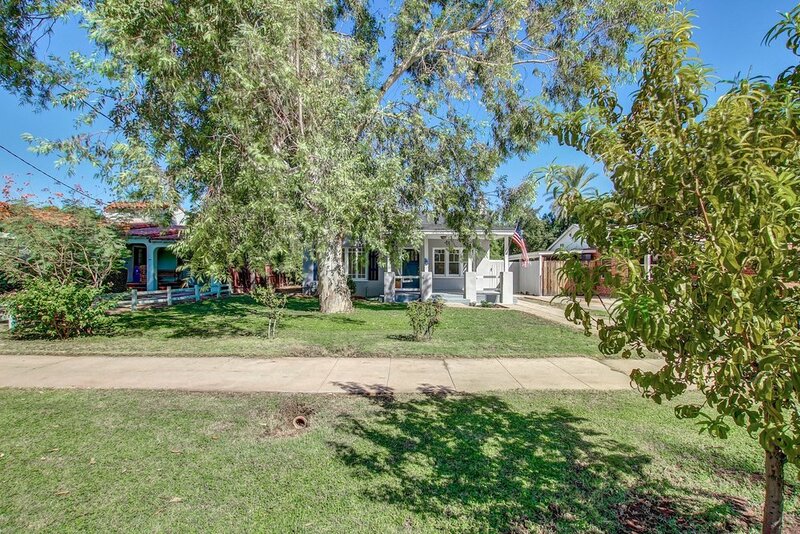 Built for Hanna Richards and her family in the 1930's (although we have reason to believe it may have actually been built in the late 1920's), this property has been loved and admired for nearly 40 years by its current owners. In 2016 the remodel, with careful preservation efforts, began. 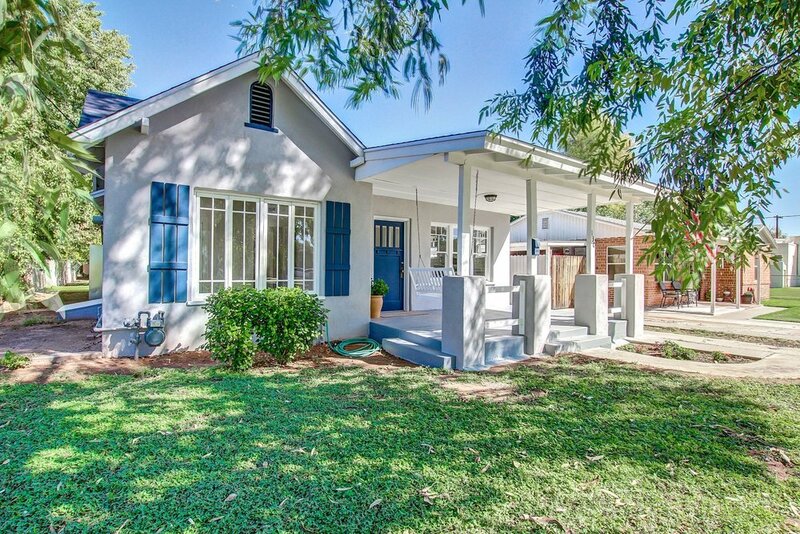 The charm begins at the curb with HUGE mature trees, fresh paint, large front porch (a main characteristic of the bungalow style), and whimsical porch swing! Enter into the spacious family room with fireplace, built-ins, preserved windows, and beautiful, durable flooring throughout. 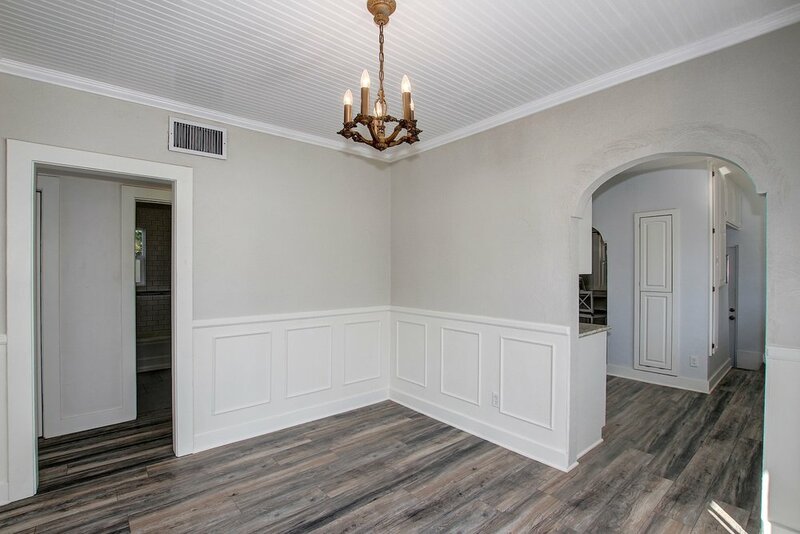 The formal dining area has decorative wainscoting, its own exit to the side yard garden area / patio and vintage dining room light fixture. It was grandmas light fixture and has been there for decades! On the main floor there are two secondary bedrooms (with closets), full bathroom, and laundry closet. It's typical for the laundry area to be outdoors for a home of this age however it was brought into the home during the remodel as an indoor laundry is a necessity for today's busy family. 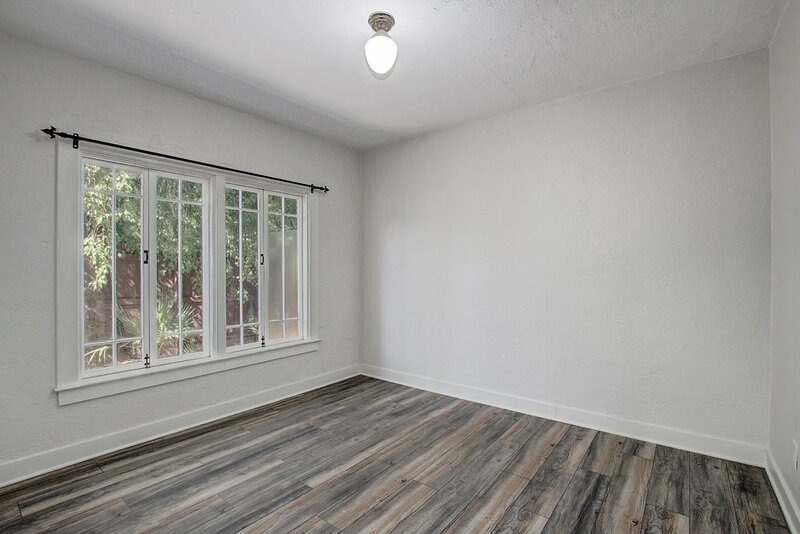 The master bedroom is completely split from the guest bedrooms and boasts its own private exit to the patio, spacious closet and built-ins (so popular in that era! 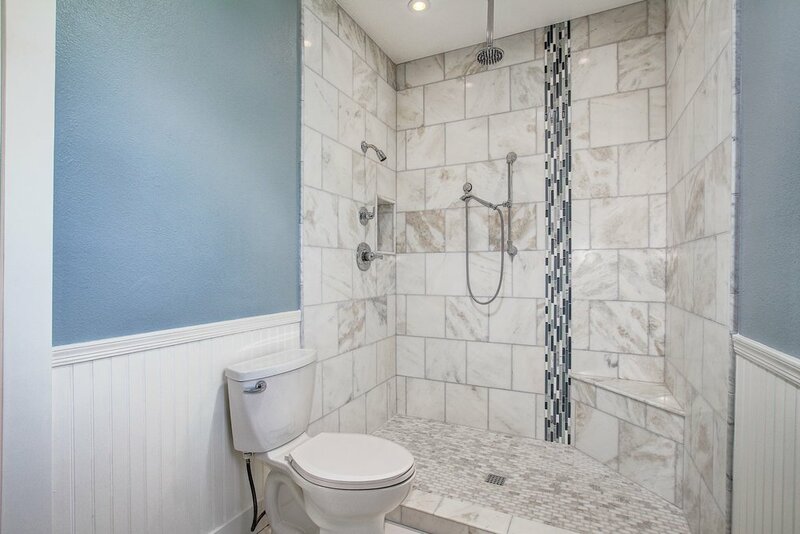 ), AMAZING, huge walk-in shower with rain head, AND a gorgeous "furniture like" vanity with double sinks, granite, and mosaic back splash. PERFECTION! The kitchen might very well be the cutest kitchen in all the land! Stark white subway tiles with dark grout (the best kind! 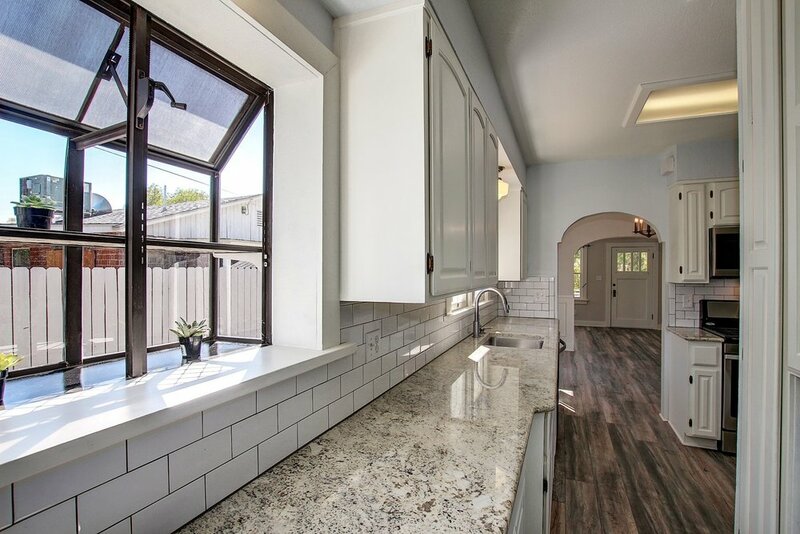 ), stainless gas cook top and oven, built-in microwave, gourmet faucet, vintage light fixtures, white cabinets, and a window atrium. Pull up a stool and enjoy coffee or a quick bite at the "eat-in" counter that faces nothing but the sprawling, lush, green back yard. But wait, there's more! This home has a BASEMENT! Cute, brick accent walls, another window atrium, and storage galore! In AZ we live outdoors from October to May and this home accommodates that very nicely! The back yard has a large covered patio with brick pavers located just beside the quaint garden area. The one-car sized storage shed helps shade the patio but also offers additional storage and could easily become a garage or guest quarters. The large lot is fully irrigated (yay for inexpensive utilities!) and backs a property that is vacant residential land and not built upon therefore protecting your view. This is a walk-able community! The police station is at the end of the street on Robson which is sure to keep things nice and quiet in the neighborhood. On your walk you can visit the "secret garden", the "hanging tree", 3 different museums, the MAC (world-renowned arts center), the Mesa Farmers Market (every Friday from 8am to 12pm), and a variety of eclectic shops and restaurants. While you are at it, grab a ride to Tempe or Phoenix on the train but don't forget to stop at Inside the Bungalow first for an amazing cup of joe. Say hello to Betty for me! Honey...stop the car. This is it! Posted on October 10, 2016 by Katie Lambert and tagged #Mesa #MesaHistoric #HistoricAZ #WeHeartMesa #MHD #TeamEvoAZ #KatieLambert.